We Are Called To Test! Latter Rain Movement / Third Wave is alive and well. While participants and leaders in this movement profess to be apart of a great revival, they are in fact fulfilling prophecy of the great apostasy in the end times, also known as the great falling away. These false doctrines are permeating into many now “main stream” denominations. 4. Salvation: It is by grace through faith alone in Christ alone. Most apostasy will not directly outright speak against 5 basic doctrines. However I do believe the Holy Spirit sets alarms with us. LISTEN! and be true to the Holy Spirit and test. Does a message just not sound right? Does a movie make you sick to your stomach. Does a speaker make your head throb? Look at their doctrine, who they associate with, and history. If you find them to be questionable FLEE! Do not return. Too many times I have heard…but their music rocks, or well the message was not “all” bad. All you do digging thru garbage is get dirty. God tells us to stay away! Why do that to the Holy Spirit…why desensitize your self? Why possibly compromise your ability to discern? BILL JOHNSON: “He performed miracles, signs, and wonders as a man in a right relationship with God…not as God. If he performed miracles because he was God then it would be unattainable for us” Bill Johnson page 29 When Heaven Invades Earth. ~~ This is known as Kenosis heresy, that Jesus laid aside His divine nature. He has many quotes spewing this heresy. 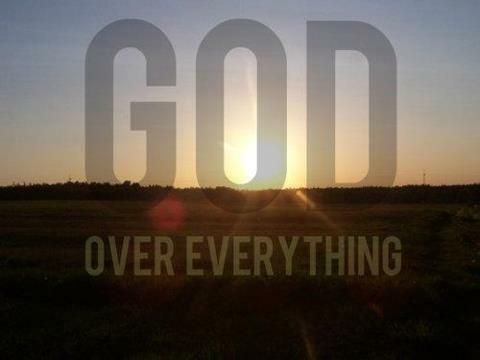 This is a gross misuse of Phil 2:7. Christ emptied Himself of his prerogatives, glory, and privilege. If divinity can be laid aside then it is not divinity to begin with. We have a duty to examine all that is taught to us. If you are not willing to get into God’s Word, if you are not willing to investigate any “new” or “enlightened” or “emergent” theologies, then you are willing to be led astray. If you are unfamiliar, “Father of Lights” is another Wanderlust Production. 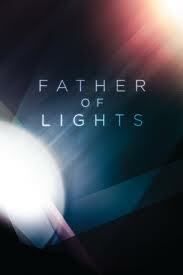 “Father of Lights” is the third installment to “Finger of God”, and “Furious Love”. Please do not be deceived my the “ooo’s” and “ahhhhs” of these probably not so realistic signs and wonders. I know the words below will ruffle or get under some peoples skin…but they are very necessary and needed. I pray you hear the Holy Spirit as you read and investigate on your own. These movies are supported by and produced by: People like Bill Johnson of Bethel Church in Redding, California, Roland and Heidi Baker, John and Carol Arnott of the Toronto Airport Vineyard, and Georgian Banov. What might not be apparent to those unfamiliar with these people is that every one of them is connected with the so-called Apostolic Reformation, Third Wave, New Order of Latter Rain, and other spurious and outright heretical groups of radical experimentalists, mystics, and self-promoting apostles, and prophets. These groups all espouse some form of the Latter Rain heresies. This movement originated in North Battleford, Saskatchewan, Canada, among Pentecostal charismatics in 1948. The name “Latter Rain” was adopted based on interpretations of several Old Testament passages that adherents believed described God’s outpouring of His Spirit in the last days that was meant to restore the power of the Church through official offices that transcended denominational lines. According to the Latter Rain/New Apostolic Reformation teachers, these offices had been lost to the Church. From those alleged outpourings arose many traveling evangelists, faith healers, and Bible teachers. The work of these individuals collectively came to be referred to as the Latter Rain Revival that lasted from 1948 through 1952. Men associated with this movement/revival from its inception and very early days include William Branham, Oral Roberts, Franklin Hall, T.L. Osborn, and Paul Cain. Reception of the Latter Rain Revivalists was limited and within two years the Assemblies of God officially denounced the movement/revival and its abhorrent teachings and doctrines. Nevertheless many of those teachings and doctrines rejected as heresy have resurfaced and been received in many modern churches. Among the most prevalent are: (1) The supposed restoration of the fivefold ministry of Ephesians 4; (2) Positive Confession (name-it, claim-it); (3) The impartation of spiritual gifts through the laying on of hands; (4) The seed-faith doctrines; (5) Kingdom Now eschatology; and (6) The Manifest Sons of God teachings. These teachings and doctrines continue to be advanced today by such men as Bill Hamon, Kenneth Copeland, Fred Price, Creflo Dollar, Rod Parsley, Benny Hinn, C. Peter Wagner, Rick Joyner, Kim Clement, Todd Bentley, and the aforementioned John and Carol Arnott, Georgian Banov, Roland and Heidi Baker, and Bill Johnson. Bill Johnson was featured prominently in the “Finger of God” videos. He pastors a church in Redding, California that operates a “school of ministry” that teaches its students to perform miracles of healing and then sends them out into the surrounding communities to practice their “gifts.” You would be hard-pressed to find anything wrong with the zeal his school of ministry students demonstrate for going out into the surrounding cities to heal people. One must wonder though at the basis for their zeal. Is it with or without knowledge? Are they proclaiming Jesus as Lord who calls us to suffer for His name sake or are they proclaiming a Jesus who says all Christians can enjoy health and wealth as a birth-right? In their promotion of experiences over the Word, these Word-Faith teachers place themselves in direct contradiction to the Bible. Healing and Miracles are not formulated then imparted by mere men…The Holy Spirit can not and will not be invoked! There is definitely a spirit in control here but it is anything but Holy. Concerning the alleged gold dust and gold teeth, this is a hoax of the grandest proportions. Beyond this, it can be proven that the sudden and unexplained appearance of gold dust is a demonic manifestation prevalent within pagan religions and is a prominent feature of Satanism. The idea of gold apparitions (gold teeth?) or gold dust also known as faerie dust, pixie dust, stardust, and the gift of fae within the occult, is allegedly representative of the highest “spiritual” attainment and is associated with the presence of faery spirits. This direct connection between Word-Faith practices and the occult/demonic is documented exhaustively in scholarly works too many to list. Yet, thousands of otherwise seemingly intelligent believers continue to regurgitate ungodly and demonstrably false teachings mouthed by people who should have been judged as false teachers and excommunicated from the confessing Church of Jesus Christ.